-Hafiz - Sufi Mystic - born 1320 A.D.
Swine Flu - A World-Wide Exercise in Deception, and Corporate Greed. Watch this enlightening video. Free Guided Meditation for Depression, Anxiety and Stress - Download available in this newsletter. What is true, authentic Yoga and how can it help? Kriya Yoga initiations. The sacred science of Kundalini Kriya Yoga - the most powerful and ancient meditation practice I know. I am available to conduct initiations in the Santa Rosa, California area for anyone with a sincere interest in this authentic path of healing and enlightenment. More Pranayama (breath control) techniques for health, vitality and a peaceful mind. Mineral deficiency can cause depression and many other problems. The Swine Flu: A Global Deception of Epic Proportions Before you get in line for your shot - please, please do your research and hear the other side of the story - the one so artfully suppressed by the media and (sadly)by our own U.S. Government. The following video should be enough to make anyone think twice before getting injected with this inadequately tested vaccine. One fact to note: Far fewer people have died worldwide this year from the Swine Flu, than the average number of yearly deaths from the common Flu. So why then, this global panic and the rush to vaccinate pregnant women and children - the most vulnerable people in our communities? I find it fascinating that our most popular TV doc - Dr. Oz - is advocating the vaccination - yet his own wife would not allow him to get his 2 kids vaccinated. If he couldn't persuade his own wife, should we let him convince us that it's a good idea for our kids? I guess when you have the most popular prime time TV show as a celebrity doctor, you stand to lose a great deal by going against the powers that be. The sky's the limit when it comes to finding new ways to use Meridian Tapping/EFT. With Meridian Tapping you can program your subconscious mind to “wake up” into a self-aware state while dreaming. Lucid dreams happen spontaneously for some people. Meditation increases your likelihood of having lucid dreams. But even if you never dream consciously, you can learn to. And be sure to take your Vitamin D3! Natural Health experts recommend 5,000 IUs of D3 per day as the best protection against colds and flu. In the summer months we have less illness because we get more sunshine - which converts to vitamin D3 in the skin. As days grow dark and short, we are likely to become deficient in D - thus we have "the flu season." Special 3 for the price of 1 MP3 Offer until midnight saturday. Extended offer -through November 7th, all orders for my custom-made Guided Meditations will include 2 bonus audios - my full Guided Mindfulness Meditation and my soon-to-be-released Sound Healing Meditation. Energy Tapping (Meridian Tapping), also commonly called EFT (Emotional Freedom Techniques) can be done both face to face with a coach or therapist, as well as by phone. Once you learn the 8 major points to tap on your body, you can follow the coach's verbal cues and get wonderful results. In fact, I find that working by phone can minimize distractions and facilitate a deeper connection. Working with a therapist or coach can help you to define your core issues that need work, and help you find just the right words to describe the issue as you tap - an essential element for getting the best results. Now, with Skype audio or web cam - you can even have a "face-to-face" session, just as you would if you came to my office, (and without long-distance charges). Of all the self-help and healing techniques that I talk about, I place Yoga at the top of my list. Yoga is often very misunderstood. It is an ancient tradition of health and spiritual growth that predates all known religions and is the oldest known spiritual practice in human history. All Eastern forms of meditation have their origins in the Yogic traditions of India. Likewise, all eastern martial arts have their roots in Yoga. The mysteries of the Yogic masters and their ability to perform amazing feats of mind over matter, influenced the development of Shaolin Kung Fu in China and spread through Asia, eventually giving rise to many different spiritual paths, martial arts, and systems of health. Ayurvedic Medicine, a highly sophisticated, holistic science of healing, also comes out of the ancient Yogic Traditions and led to the development of other healing arts in the East such as Reiki, Pranic Healing, Acupuncture and many other forms of healing. Yoga’s origins are more than 5,000 years old. Some experts say more than 10,000. If it didn't work, humans wouldn't have held onto it just because it was trendy. Yoga or "Yog" literally means “Union with the Divine”. It is about refining the energy - raising the vibration, coming into balance and harmony, to where your little ego-mind dissolves into a glorious, expansive consciousness, and merges beyond your I-ness to join with the Cosmic Consciousness, sometimes called God-consciousness, Self-Realization, or Samadhi. These levels of consciousness are quite advanced, and for most people require many years of committed practice to achieve, but there is a progressive movement towards these states. 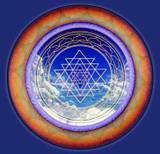 In the true Yogic philosophy, this is the real purpose and destination of the journey for all life on earth. There are many different branches of Yoga. There is plenty of great information out there about all of this, and you could study for the rest of your life and not learn it all. Some forms of yoga are very physical. 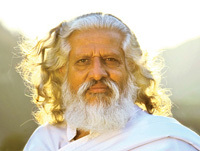 Others, like Bhakti Yoga are about spiritual devotion; Karma Yoga is about transcendence of the ego, through service and selfless action (Mother Theresa and Mahatma Gandhi); Some are more philosophical and intellectual like Jnana Yoga, or Advaita Vedanta; Some are purely oriented towards raising consciousness through meditation and techniques involving the use of breath (pranayama) - such as you will find in Kriya Yoga, Raja Yoga, Tantra and Kundalini Yoga. These are just some of the types of Yoga out there. They are all compatible with one another. They are all powerful and all beneficial. But they are not all for you. You have to listen to your intuition and choose one or more type that appeals to you - that fits with your basic nature. The stretching exercises associated with popular yoga classes are related to certain traditional practices, but don’t always include the deeper aspects of true yoga (unless it’s taught by a well-trained, traditional teacher). This is my personal meditation path, that has blessed my life for 10 years now, since receiving initiation by Master Yogiraj Satgurunath Siddhanath. I am honored and delighted to share this gift with sincere seekers wishing to receive initiation into authentic Kriya Yoga. Anyone interested in coming to the Santa Rosa (Sonoma County) area of California, may register for Kriya initiation and learn this life-changing technique - the mother of all meditation paths. I'm also available to travel on a limited basis if you have a group of people who want to receive Kriya initiation. Pranayama – literally “life-force control” – are powerful techniques for shifting your consciousness, purifying mind and body, and raising your energy. Pranayama is a core part of several types of Yoga. Bhastrika – “Bellows Breath” – This Pranayam will relieve stress, anxiety and depression, bring clarity and calmness to the mind, and reduce fatigue. Coming soon -- the AlternativeDepressionTherapy website will be interactive! You will have opportunities to share your personal success stories, offer inspiration to others and join a growing community of wonderful, courageous people who are finding natural means to attaining real joy, passion and peace of mind. Stay Tuned for the next Newsletter- coming soon! Specific tips, techniques, scripts and short-cuts for using Meridian Tapping/EFT to successfully eliminate depression. Release expected in November.